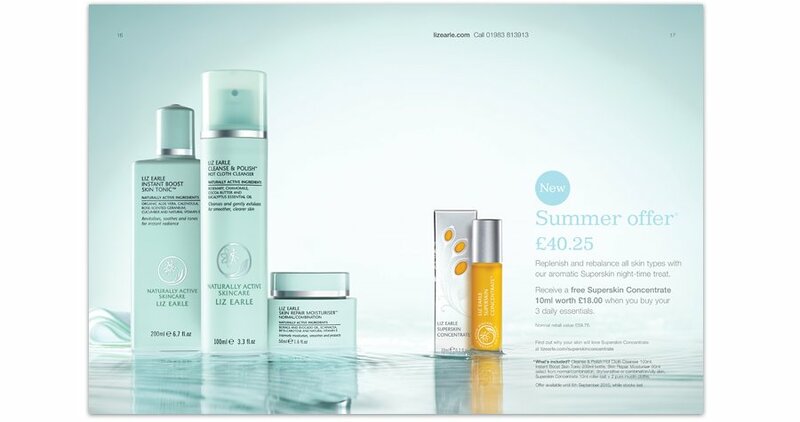 In every edition of the Liz Earle Naturally Active Skincare customer newsletter there is an offer on the ‘Daily Essentials’ products for both men and women. These are some of the creative treatments that we produced. 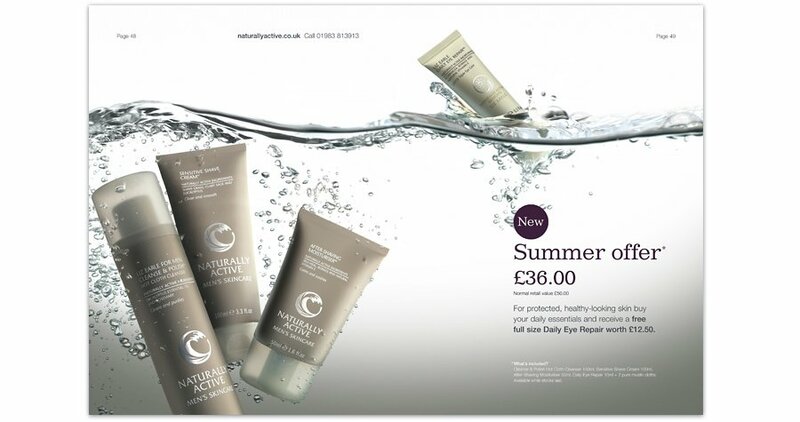 The imagery needed to show the products that were in the offer as clearly as possible but also give them a fresh invigorating appeal. We art directed the photoshoot to ensure that all of the components required for the complete image were there. Getting the perfect shot of something dropping into water is very difficult and it took several takes until we had something. 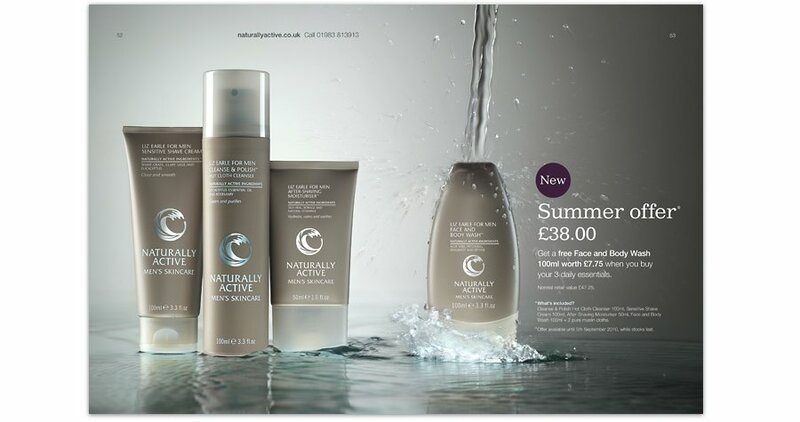 Each product was then carefully retouched to ensure they looked their absolute best and then brought together into the required composition, adding in bubbles and splashes where required. A flooded studio, very wet feet and many many hours retouching and the finished product looks great, if only it could be done at the click of a button! The creative treatment needed to be produced for both the womens and mens ranges. This creative needed a constant flow of water, which ended up in a flooded studio, but a great end result!